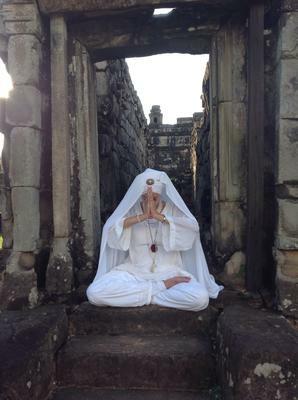 I am a 55yr old Yoga teacher, Originaly born in the UK. I an now living and was working here in Cambodia. I took a 10 day course of 500 mg of Levoflaxin....on the 9th of July the 1st antibiotic in 36 yrs. It was prescribed for an ongoing cough which was suspected TB but the Doctor also said it may be acute bronchitus. should at least try an antibiotic that I might be able to tolerate. sickness, nausea non of these seemed to be a problem. I still did not associate with the drugs so continued to take the full course. I was unable to lift my arms above my head, could not bend down to touch my toes or pick anything up off the floor, this situation got bad enough that I called out a doctor who said the pain could be from the air con and prescribed anti inflamatories. I took them for several days but with no improvement. Things went from bad to worse as I had excruciating pains in my shoulders, wrists and fingers, my jaw was also locking up and was painful. I wake up with numbness in my hands excruciating pain in my shoulders hips knees and ankles. When I have been laying in a certain position it feels like I am going to break something on my attempt to stretch out. I decided to look up pain associated with bronchitis and BANG there it was the mention of the antibiotic. I then began my journey to research the drug and read many similar stories. One month on no improvement pain worse in my shoulders, fingers and wrist. On examination by a Doctor passing through I was diagnosed with peripheral neuropathy. I am appalled that this drug has poisoned and ruined so many peoples lives. LP every 12 hours with very little effect if any for most of that 12 hrs, but having then cut down to 30 mg I noticed how bad it was and put myself back on the 60 mg does. I do not feel depressed, I do however forget things so slight brain fog, no stomach problems. I do experience shortness of breath on the slightest chore. what would normally take 10 mins is now an hours chore. This is now week 5. There are no good hospitals here in Cambodia, I have been told by the hospital go home and be looked after by family. I have no family and I have made Cambodia my home. but the dream is the one thing that keeps me holding on that there must be an end to this unforeseen night mare. I'm going to be blunt with you here. You have one option and one option only. (One good option, anyway). Get The Levaquin Tendonitis Solution ebook (and the forums that come with it) and get to work on the nutritional self care. Unfortunately, the hospitals in the US are no better than the care you're receiving in Cambodia, and the doctors no more knowledgeable about Levaquin Tendonitis. Just like you've experienced, in the US doctors routinely prescribe the super powerful fluoroquinolone antibiotics when they have no idea whether a person has a bacterial infection or not. Just like you've experienced, (most) doctors in the US suggest corticosteroids, even though the research clearly shows that one should NOT give corticosteroids with or after fluoroquinolones like Levaquin, Avelox, Ciprofloxacin, Cipro, Levofloxacin, etc. Levaquin Tendonitis is not real Tendonitis. Levaquin and other fluoroquinolones cause massive nutritional depletion, mainly Magnesium, and that's the primary cause of much of the symptoms you describe. It doesn't sound like your tendons are falling apart. That's good. Hopefully you're experiencing nothing but massive depletion of Magnesium. And that triggers the usual Pain Causing Dynamic as well, what with the pain and other resulting dysfunction. Unfortunately, your doctors (and doctors in the US) will leave you with all those symptoms, as they are powerless to do anything about them. Which should be criminal, and is incredibly unnecessary if the doctors would just spend a tiny amount of time looking into the research, looking into the mechanism of the drug, looking into how the body functions, and correlating all that info. Get the ebook. Then you're going to have to get the nutrition on the protocol, which you should be able to get one way or another in Cambodia. You're going to have to, one way or another, if you want to get better. You don't sound like you're in the category where you'll get better any time soon without doing anything in particular. Then get on the forums, and we'll be there with you every step of the way. I was 4 months from the Levaquin when I got the ebook and most of the damage had already been done. From my symptoms, I am absolutely convinced that high doses of magnesium from the start would have avoided a torn rotator cuff, the disintegration of my hip joints (they have been replaced) and damage to both knees and both wrists. Quick follow up on what Marilyn said. Marilyn, you're probably correct (with a caveat of 'maybe'). 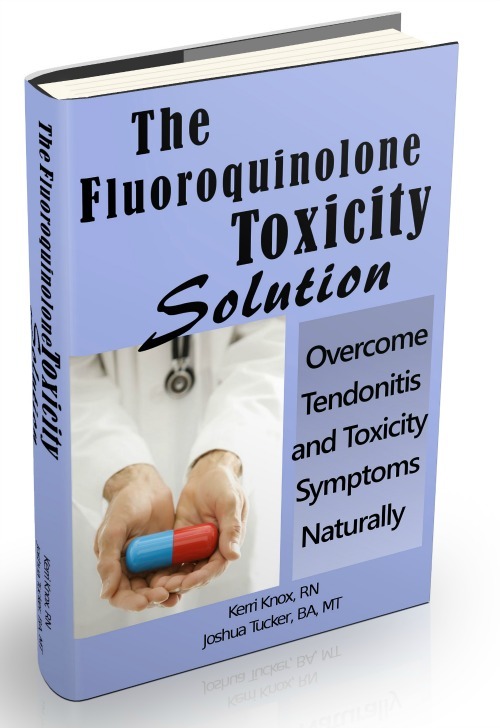 Fluoroquinolones deplete the body of magnesium. There is some other mechanism as well, such that the very next morning a tendon/connective tissue structure can totally disintegrate/fall apart. But in the rest of the scenarios, the body is depleted of magnesium and function downward spirals from there. So one can go from pain and problem to pain and actual damage as the structural integrity of a structure(s) literally starts to die and fall apart. The 'death' is from the mitochondria [the powerplants of the cells] dying so the cells die so the structural integrity fails and the tendon 'tears'. So if one can catch it in time then depending on the actual scenario in there, it's certainly possible to prevent further damage. Thanks for the comments Marilyn.